Apple’s Worldwide Developers Conference starts next week with a Tim Cook keynote, so the rumor mill is spinning frantically. Here’s what it’s spitting out. Apple sometimes reveals new hardware, sometimes concentrates on software at WWDC nowadays, but there’s been a growing sense the company will reveal a slew of updated Macs next week–borrowing heavily from the MacBook Air blueprints and bringing retina displays from its iPhone and iPad to the computers. Now the excitement about this is reaching fever pitch and it seems Apple may rejig most of its Mac lineup…with the exception of the Mac Mini. At least two configurations of the 15-inch MacBook Pro are expected, according to sources speaking to 9to5Mac, along with retina MacBook Airs at 11-inches and 13-inches, and an iMac that may sport a slightly thinner case–along the lines of Apple’s new display hardware. New Intel Ivy Bridge chipsets, USB 3.0 ports, uprated graphics powers and other tweaks, including a bunch of new accessories will come with the package. All in all, it seems Apple may try to unify its Mac line with skinnier bodies, better resolution screens and perhaps more support for solid state storage and less emphasis on DVD drives. The moves are designed to reinforce Apple’s lead in the ultra-portable computing market and the threat of Intel powered Ultrabooks. Having described the new Macs above, it was a surprise to see a purportedly leaked 13-inch MacBook Pro spec sheet showing very little change to the machines–no retina screen, no design change, no SSDs. This should cause a good amount of skepticism, as it’s easy to mock this info up. There’s been serious nervousness about the Mac Pro for a while–it’s Apple’s flagship desktop machine, beloved by audio and video engineers the world over, but Apple hasn’t updated it in years. Now there are reports via MacRumors that supplies of the machine in-store are constrained. That could imply Apple’s chosen wound up the entire line (after all, we do know it has a very short 5-day inventory cycle time). But 9to5Mac has it on good authority that several new editions are coming, perhaps in a new rack- and stack-friendly format. The new Mac Pros may also help Apple tackle the hole it left in the professional market when it ceased X-Serve production. Siri is very much a beta product, although Tim Cook promised exciting improvements were en route when he spoke at the AllThingsD conference. That, along with other rumors, has refocussed attention on Siri–the core technology Apple used to promote the iPhone 4S (where “S” stands for Siri). New information suggests that iOS 6, the next-gen operating system for iPhones and iPads almost certain to get a reveal at WWDC will bring enhanced Siri functionality and spread Siri powers to the iPad. A Siri boost is a definite lock-in, and though we cannot know exactly what’s planned it would seem sensible for Apple to add third party app support for Siri so that the voice-control system can be still more useful and integrate into more and more apps–and between them too, so a Siri request will perhaps trigger a tweet and a calendar update. Teaching the necessary natural language basics may be a task for some of the mysterious “to be announced” sessions due next week. Apple and Google haven’t had the, ahem, easiest relationship since Android and its thermonuclear implications for the iPhone. According to the Wall Street Journal Apple’s now set to make a very decisive step away from Google by including its own mapping solutions in the iPhone and iPad. This may finally bring turn-by-turn navigation instructions natively to iOS, a facility that it’s said Google witheld from the device, along with a Streetview-quashing 3-D imaging solution that may be among the most visually impressive smartphone users have yet had. Sensitive to this change, Google’s even scheduled a press release ahead of WWDC to reveal its own 3-D imaging system. There’s a lot of uncertainty here, but some rumors are saying Apple may also reveal a refreshed Apple TV system at WWDC, making use of the TBA’d sessions to explain to app developers what’s what. The new operating system, a variant on iOS, would bring third party app functionality to the $99 piece of set-top hardware, transforming it into a hugely powerful platform for video and audio functionality, social networking, gaming and so on. It’s also a relatively simple play for Apple that would position it against the threat of rivals like the ever-stronger Xbox. We’ve long suspected this is a natural move. But the rumors concerning the Apple TV are also mixed up with suggestions Apple will choose the WWDC to reveal its own HDTV solution. That’s a bit of a stretch in crediblity…it just doesn’t seem like there’s enough chatter to marry up with an imminent launch of such a prominent piece of hardware. 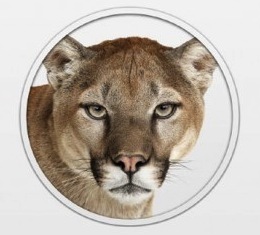 As well as some more OS X-like smarts shown in iOS 6, we can expect a lot of attention devoted to the next Mac OS, OS X Mountain Lion–and we’ll probably hear of how it’s borrowed even more lessons from the iPhone and iPad. Will Siri surface on Macs? Don’t expect a full reveal, however–Apple likes to keep some features hidden right until the last moment before launch. …in fact there’s a short list of things that you shouldn’t get too hopeful about. iOS 6 isn’t expected to arrive until later in the year, so we’ll probably only get a partial feature-set revealed next week. That way Apple can keep details of the next iPhone (due in September?) a secret. It also probably won’t even be a dramatic overhaul in terms of how iOS looks and works–no Metro-like revelations here. Also don’t expect any of the weirder rumors to be confirmed–like Apple launching its own phone network. Retina Mac apps have begun to appear in the Mac App Store…which may be the most direct evidence yet that Apple really is revamping its Mac lineup with super-high-res screens. Meanwhile, analyst Ming-Chi Kuo at KGI Securities released a report suggesting Apple’s retina-display Mac will arrive as a new flavor of portable machine next week, possibly titled just “MacBook”. It’ll sell alongside boosted versions of the existing MacBook Pro and Air lines, serving the purpose of addressing the 13-inch 15-inch portable market for consumers who want more power than the air can muster, but still having the characteristic skinniess and lack of spinning drives. Apple has too much of a following for its beefier Pro lineup, he believes, to let it go right now. It’s an intriguing argument that could marry up with the “entry level” Mac mentioned above. Amazon has just dropped 5% off the Apple TV. But it’s a discount on the new model, sporting 1080p video out powers and tweaked internals. Though it’s a small discount that takes the price to $94.86, it’s still a curious move that could imply the TV is nearing the end of its lifespan in its current edition. Will Apple surprise us next week? More confusion has arisen over what Apple’s doing with its lineup courtesy of leaked part numbers shared with 9to5Mac. 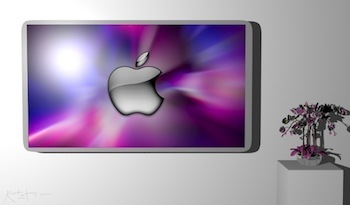 The list seems to confirm that a new Mac Pro is on the way, with three variants including a server version. It also shows updated MacBook Pros, but no information on purported retina-screen MacBook Pro machines–though the site, which has been reliable in predicting Apple news in the past, says it still believes they’re due to be revealed. The information does, however, seem to relate to older chipsets in the MacBooks…which may suggest it’s not 100% accurate. Meanwhile the hottest rumor is that Apple will reveal an Apple TV SDK to drive production of third party apps for its Apple TV set-top box (which will also be shown in the keynote with a new OS), and though this is exciting enough the idea is that it’s Apple setting the stage for a later reveal of its full HDTV–which would launch with thousands of compatible apps.